Drain and discard all of the water. Add milk/half and half, butter, sour cream, garlic powder, salt and pepper and mash with a potato masher. Top with chives. 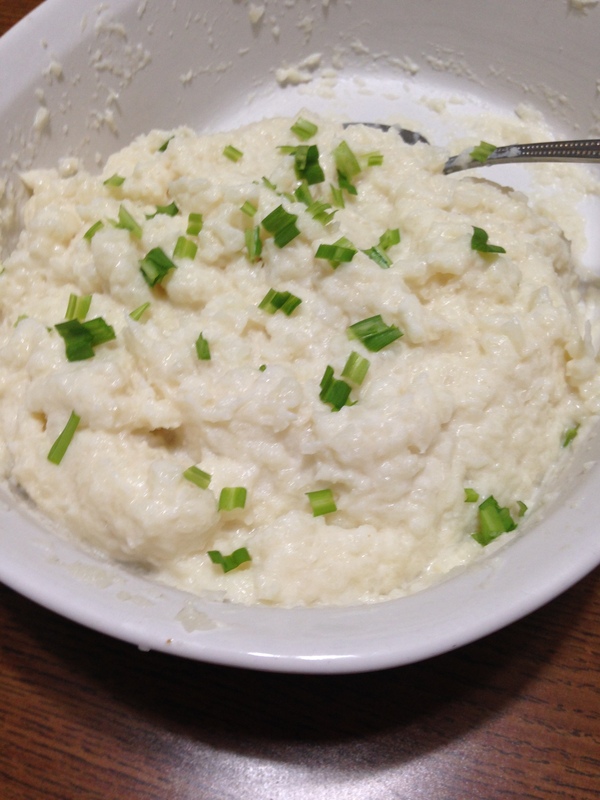 Mashed cauliflower. Apologies for the photo. I didn’t have the time to transfer it to a bowl to take a better picture as me and Tashi ate everything right away. Credit to @yourhealthyworld (IG) for the yummy recipe. Please follow him/her on Instagram for more healthy recipes.